Back home, most social events involve alcohol. Generally, meeting up with friends takes place in the pub or dinner… often followed by the pub. It can be fun, but it definitely gets tedious, and I can remember more than one conversation with friends back home where we tried to think of something else to do. The odd film/bowling/etc excursion occurred, but more often than not, the pub is the easy, go-to option. Here in London though, I have quite a few friends who don’t drink, so generally hanging out with them will involve things like cooking dinner together, going to a gallery or finding fun events to go to. The other night, I stumbled across a board game cafe, Draughts. I mentioned it to the Slav, who got excited about it and suggested we ask along a friend of ours that we hadn’t seen in awhile. We all went last night, and I must admit this is one of those places that I almost don’t want to tell anyone about. Draughts is LOVELY. It’s in a railway arch in Haggerston, one of those cool exposed brick wall/curved ceiling jobs. We were served by a really lovely girl, and the rest of the staff seemed awesome too. And the games. Wow. They have literally hundreds of games stacked up in a library down the back. Draughts started out as a Kickstarter project, and to all of the people who funded them – good call. 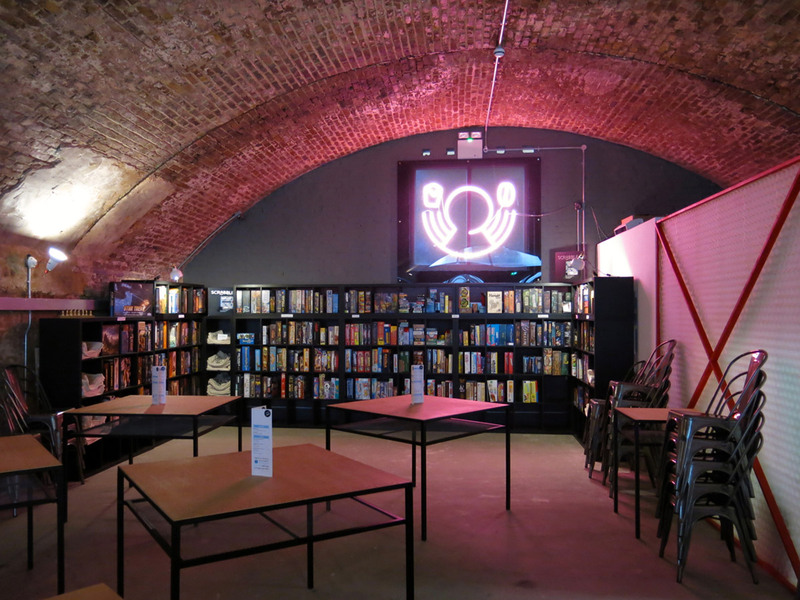 There’s a £5 per person fee, which lets you stay as long as you like and play as many games as you like. Plus they serve beer too – always a bonus! 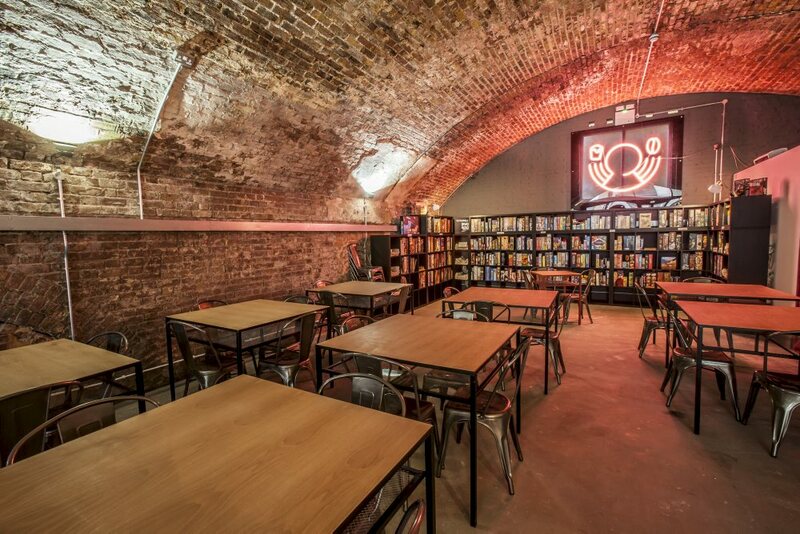 I will definitely be back, and anyone looking for something different to do, or somewhere to take a first date – definitely check out Draughts.